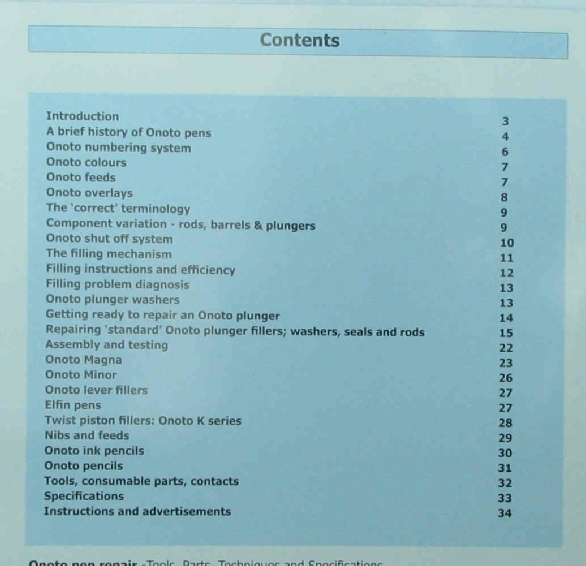 Contents pages and some sample pages from the books are shown below. 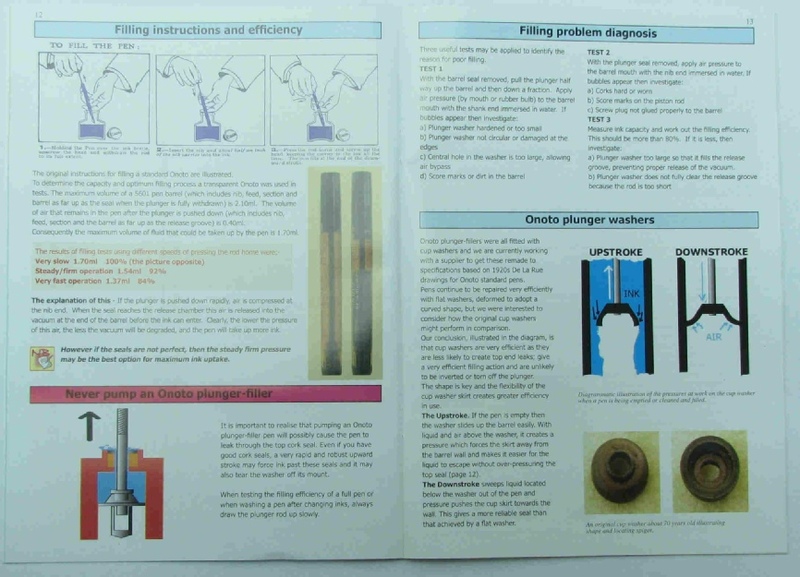 Pen Repair 4th Edition now available. Price £32.00 (approx $50). Post and packing UK £5, Europe £11, rest of the world £16. Spanish edition is £30 plus postage. Onoto Pen Repair Price £10 plus postage. Now sold out. Paypal to laurence@penpractice.com for non UK customers. Cheque or direct bank transfer preferred for UK customers, but Paypal OK if you will share the Paypal charges by adding £1. If paying by cheque or BACS, please send an e-mail and I will give you the relevant details. Be sure to tell me if you would like the title page autographed and let me know what you would like it to say. Sorry, I cannot get Jim’s signature too - we live too far apart. 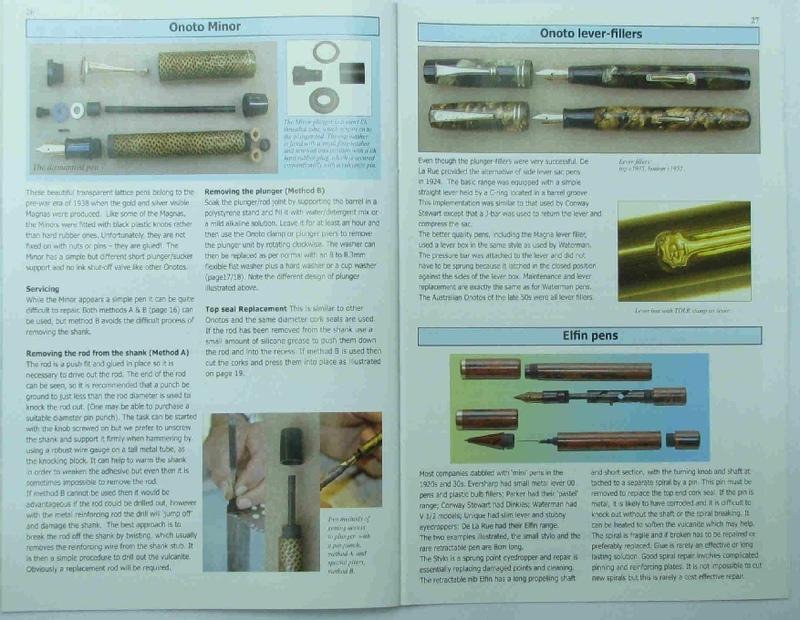 The first edition, with 194 pages in 2008, broke new ground by presenting full colour photographs of dismantled pens and practical ways of repairing them. 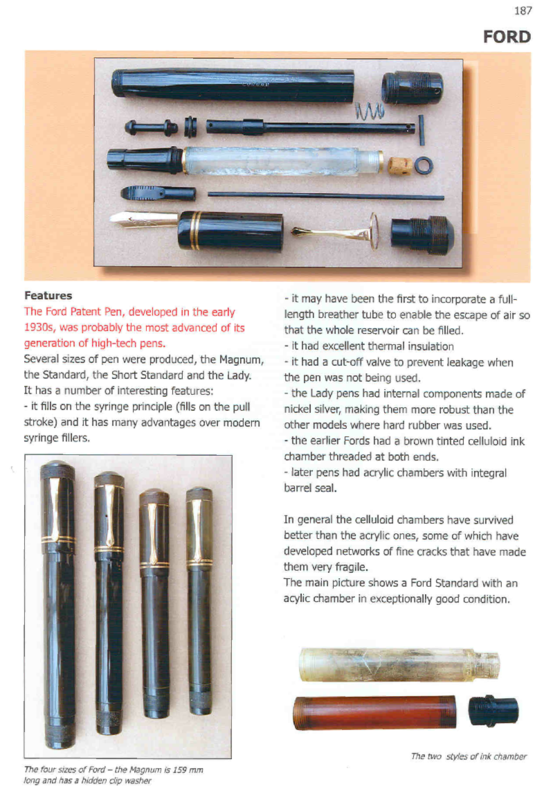 The emphasis was on adapting and making tools, being patient, using heat to dismantle and assemble and not to be afraid of tackling complex pens. The second edition builds on this with 264 pages in a totally redesigned outer cover, with a Canadian half spiral that protects the ring binder and is easier to store and use on a bench. The third edition builds on comments received, updates some procedures, adds more information and describes more pens and pencils. 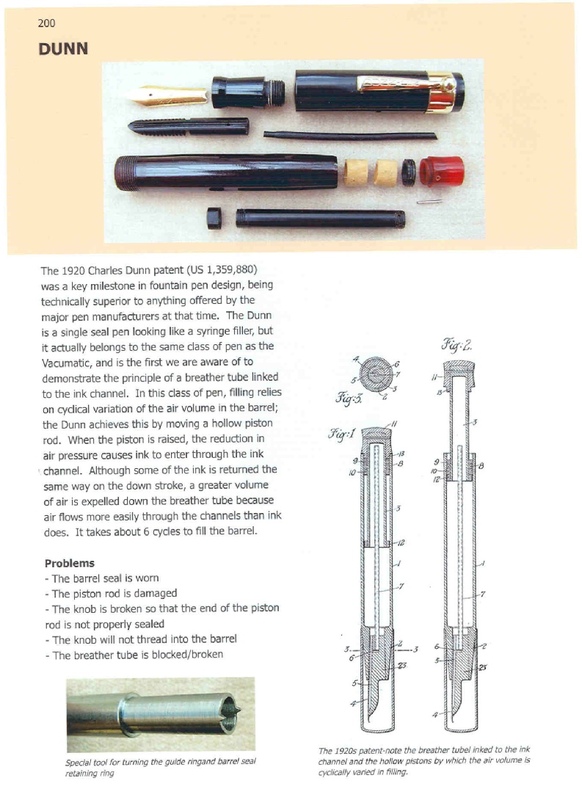 There is also a new chapter on adhesives and much more information on repairing ballpoints and pencils. The fourth edition (301 pages) again includes many more updates, more pens, more on tools and a new section on lathe/machining techniques. 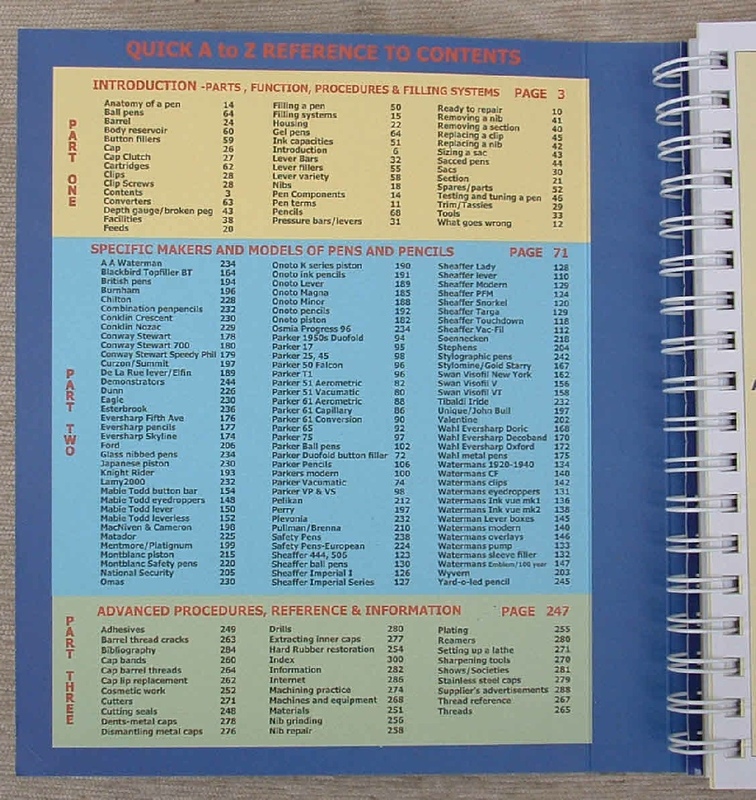 It is a repair book, but it also contains a wealth of resource information on companies and makers. 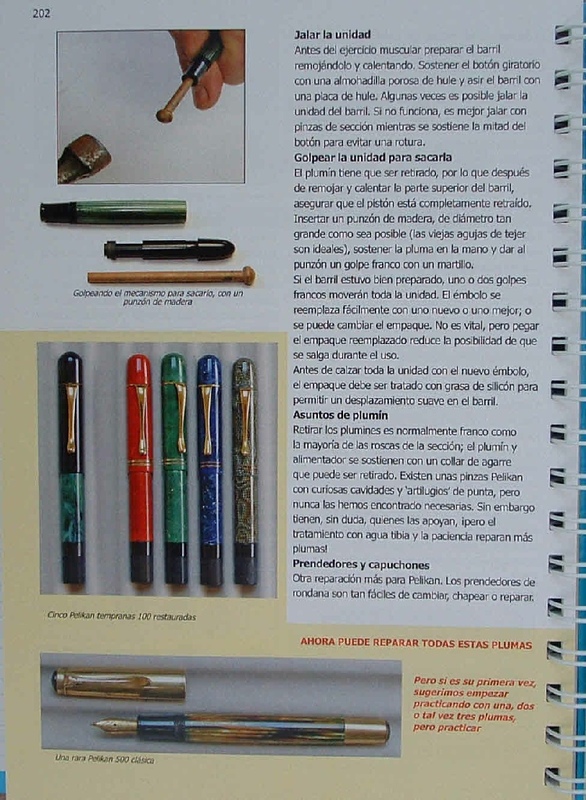 The illustrations show the components and insides of both classic and unusual pens; whenever possible the procedures are also illustrated together with any special tools that are required. There are few pens that cannot be repaired after reading this book. It deals with the basic and the complex; it is a book to read and to use as a reference; a must for both would be repairer and collector.